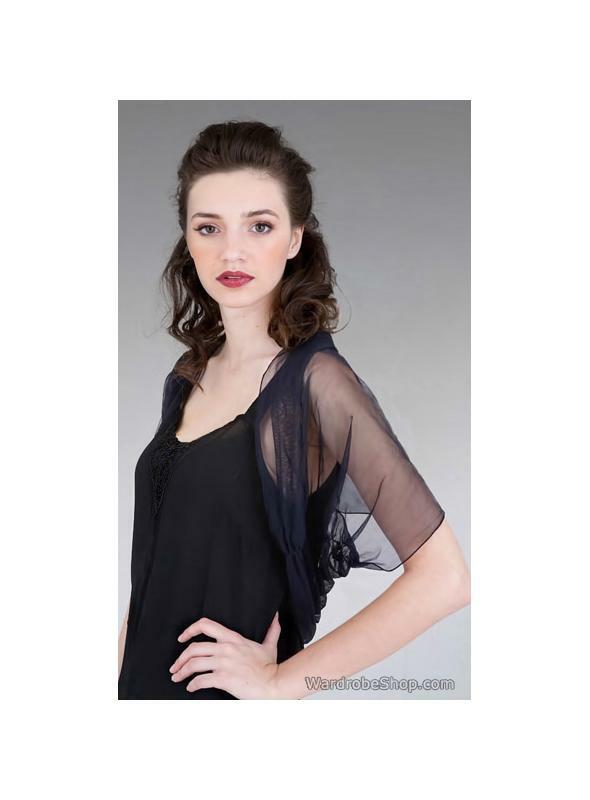 Tulle sheer shrug, easy to wear, available in multiple colors and will accompany almost any dress. If you need an elegant shrug to cover your arms or shoulders, this is a stunning cover-up shrug with an impressive vintage style back. Buy yours Today! This shrug perfectly matches: 40122 Ivory Dress, 40103 Red Dress, Blush Wedding Gown 40042, Black Titanic Camisole S-28, Elastic Back Matching Camisole S-29. I paiid $18 for shipping twice due to exchange for correct size. This is exorbitant s.shipping as the the L was really a S and had to be exchanged for an XL. The item is fine.wardrobe Shop waived the $18 restocking fee. Not a pleasant experience.